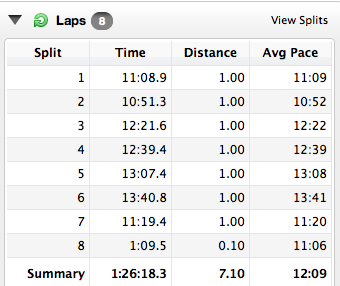 The last time (and only other time) I had ran 7 miles was before the More/Fitness half. It was a great run and I had been holding on to that feeling. However, that run was at night and during perfect temperatures – all very different variables from the current ones. Not to mention that my runs lately have been less then stellar. The coaches all emphasized taking it easy and paying attention to how the heat effected us – slowing down was encouraged. I started out the run feeling strong, bloodsugars weren’t being stupid and no signs of injuries. My bloodsugar was 77 that morning – close to low (70) and tricky on any normal heatwave day. But mind over matter, I felt good going into the run. I chatted with one of the coaches about Diabetes (after I elegantly blurted out that I’m type 1 as a way of introducing myself) and she told me about a friend who was T1 and completed Ironmans. While I have found motivation in the blogosphere, I haven’t found too many T1 role models (know any??). 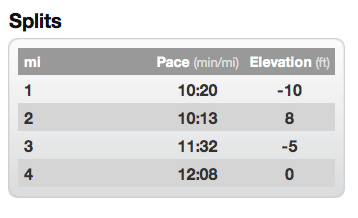 I synced up with another runner around mile 2 and we ended up keeping pace for the rest of the run. That pace included some walking which I was completely ok with. After we went up a hill she pulled back and as I got hit in the face with a wave of heat I didn’t hesitate to join her. It took me a long time to realize just because you walk doesn’t mean the run is over. We ended up doing a walk/run (some how always walking when we passed the coaches) combo. The key part for me : the running was strong. I felt good when running and smart when walking. Perfect mix for facing bloodsugar, heat & distance. I didn’t even feel the need to test at mile 5, while it made me a little nervous, I trusted my body and went with instinct (I ended up being 202 after the run [see fueling]). The drama came after the run. As I went to record my bloodsugars into my phone I realized it wasn’t in the (DIY/needs to be replaced) armband. I turned right around prepared to walk those 7 miles back looking for it (not that I’d remember the route). A few steps up I ran into one of the coaches who kindly helped me, calling and running back to look. Some other runners passed by and said they saw a phone a few feet up (I took off before hearing the specifics #classicmove). We searched and asked and called. No luck. I was in denial to prevent from freaking out (sad but true, I’d rather lose my meter than my phone – pretty much anything else is replaceable). Sara was awesome and offered to check one more time/go one foot further/keep calling. When it was determined that it clearly wasn’t on the path – someone answered! The office at the tennis house had it!! So the seven sweaty miles restored my faith in running and the kind people who passed along my phone restored my faith in humanity. Oddly enough as I went to grab my bag we passed another TFK’er who lost her phone (it must have been the one on the path since mine was all the way north) – and when Sara called it someone answered to return it. Have you ever found someone’s phone / wallet ? 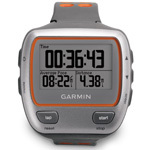 Categories: Uncategorized | Tags: 6/30, 7 miles, central park run, garmin, good run, Group run, heatwave, iphone, long run, lost&found, morning run, personal, splits, stats, tfk run | Permalink. First run with the garmin! Intensity: kept first 1/2 mile light but felt weighed down from the start. Went to pick up the pace for 5k but was a rough run – had to slow to walk 2.5-3. This one gets chalked up to stupid fueling / everything impacts a run. I was 166 @ 3:37p … cool, a little high but usual for the afternoon – leave it alone. Only I didn’t…I had dried fruit and plenty of it. This was a reminder that just because it’s healthy doesn’t mean it’ll work for me, oh and moderation. I also had an equal amount (read: a lot) of almonds because I wanted a snack. Fast forward to 6p, getting ready for my run (should have met to run with TFK since I was free) and my bloodsugar is over 300. Sigh. Had to do insulin but can only do the ratio with starch carbs vs. the natural sugar of fruit. So I had my standard PB & toast. Went into this run feeling a little nutty. Came out at 124 (perfect)! But I was feeling those fueling decisions. This is a 24/7 prepping/planning/calculating – every decision counts. One good one : I should stop buying dried fruit, stick with the fresh. Injuries: left knee felt achy all day randomly. 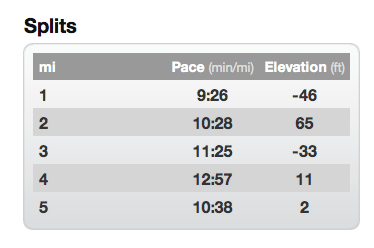 Fine during run but old pain going up stairs afterwards….realized later on it was hinting at some IT Band issues. Categories: Running | Tags: 5K, 6/27, central park run, diabetes, fueling, garmin, night run, rough run, splits, stats, tumblr, wednesday run | Permalink. 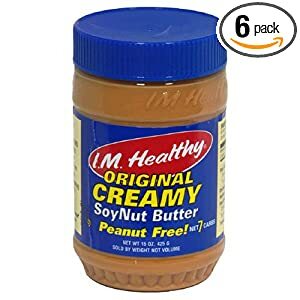 Categories: Uncategorized | Tags: 6/2, bloodsugars, diabetes, fueling, Group run, long run, morning run, saturday run, stats, sweatbetes, what i ate | Permalink.